The roof is one of the most important parts of the home. It is essential to have a solid, sturdy roof that is strong against the elements. Should it become damaged, repair can be necessary but is not always the answer. There are some cases where the practical long-term solution is to invest in all-new roofing. A new roof carries with it many benefits for your home. A new roof is a great way to enhance the energy efficiency of your home. Although it may seem so, not all roofs are created equal when it comes to roofing technology. 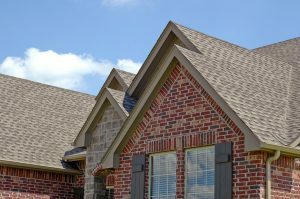 By getting a new roof, you will make sure that you are obtaining the latest and greatest quality that is available on the market. New, innovative shingles can help limit the amount of heat gain, therefor lowering your cooling costs in the warmer months. Aesthetics is another way a new roof can be beneficial. Getting a new roof is like giving your home a makeover. Doing so will not only improve the quality of your roof, it will keep your home looking great. Missing or damaged shingles do not do the home any favors. The roof is a highly visible part of the home’s exterior, so it is vital to keep it in good shape. It is not uncommon for individuals on the hunt for a new house to turn away from an otherwise gorgeous home because the roof needs work. If you have a new, high-quality roof, you instantly improve the resale value of your home. New roofing can add thousands to the home’s value as well as keep it looking great, improving its odds on the housing market. If you have a slightly older home, professional installation is another hidden bonus of a new roof. Mass-produced homes tended to skimp on quality, both of materials and labor. This can cause your roof’s lifespan to suffer. By having professional roofers give you an update, you can be assured that you have a roof that is high-quality with a longer lifespan. Roofing may not seem like a vital detail at first but quality materials and service can play a big part in your home. When considering the benefits, getting a new roof can be an excellent option to explore.